These Ariel Tempest 18K White-Gold-Plated Stud Earrings drop from $99 to $10.99 at Cate & Chloe when you enter our exclusive code BRADSARIEL93 during checkout. All orders ship for free. This is the lowest price we found by $9. 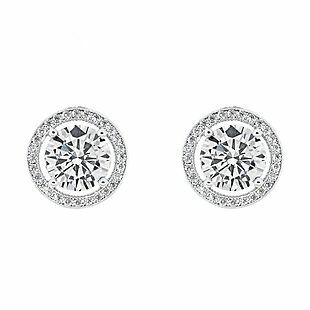 These earrings are lead- and nickel-free, and they feature cubic zirconia stones measuring 5mm. They arrive in a gift box. Please note that these earrings may arrive up to five business days after your order is processed. Sales tax is charged in most states. Exclusively for our readers, this Shamballa Pave Crystal Fashion Wrap Bracelet drops from $59 to $8.99 at Cate & Chloe when you enter our code BRADSSHAMBR9 during checkout. Shipping is free. This matches the lowest price we've seen this year. 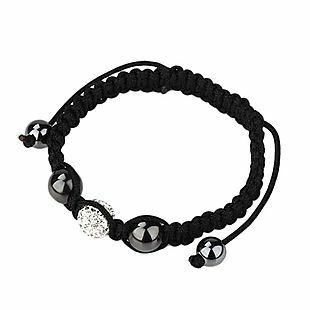 This adjustable braided-cord bracelet features one crystal ball and two hematite beads. It's available in three colors, and it arrives in a gift box. Sales tax is charged in most states.